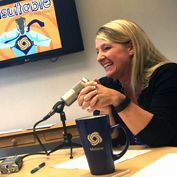 Listen to episode 9 of Unsuitable on Rea Radio. On episode 9, “Taxes Are Like Fishing, Both Require Strategic Preparation To Succeed,” we’re talking with Melane Howell, tax expert. Melane provides knowledgeable tax expertise and guidance to those she serves. During this session you’ll learn from Melane the importance of strategic tax preparation and pre-planning, along with her proven proactive tips and advice in saving tax dollars. Emphasizing an ongoing tax advisor relationship, Melane shares sound tax recommendations that impact individual and corporate tax returns through intelligent deductions. Keep scrolling to find some great resources to help you conquer your tax strategy. What Companies Can Do Now To Get Ready For The 2016 Tax Season – It’s time to do your business tax planning and, just like a doctor’s check-up, if you decide to skip it, you may regret it. You could face a larger tax bill because you weren’t in close enough contact with your advisers when you did a transaction, changed a policy or practice, or amended what you are doing with insurance. You may encounter wide swings in income and tax due from one year to the next if you don’t check in with your advisers. Read on to learn more. Time For Some Tax Planning Before Year End – With the holidays coming into full swing and the end of the year quickly approaching, now is the time to consider gathering year-end estimates of your financial information to see if you should do some planning in order to ease your tax burden. Read on to learn more. The Cost Of Reimbursing Employees For Health Care – Think not providing insurance to your employees is bad under the Affordable Care Act? Reimbursing employees is worse. For example, “group health plans” that are not in compliance with the ACA’s reforms may be subject to a $100 per day, per employee excise tax. This excise tax is potentially far more expensive to employers than the often discussed play or pay penalties of $2,000 per employee, per year. Employers Must File Taxes, Make Payments Electronically – Employers filing in the state of Ohio will be required to use the Ohio Business Gateway (OBG) to file and remit payment for state and school district income tax withholding returns, according to the Ohio Department of Taxation. Read on to learn more. 5 Tax Deductions To Ease Your Business’s Tax Burden – For those of you still working on your tax prep, there is still time to claim some valuable deductions. Here are five deduction options to help small businesses make the most of the upcoming filing season. What Are You Planning? – There are many ways that you can shift income and deductions from one year to the next. If your itemized deductions will be slightly lower than the standard deduction this year, it may be advantageous to shift some of those deductions to next year in order to be able to itemize next year. Read more. Retirees Get Cranky Over Tax Returns – Tax preparation and tax payments often become MORE complicated in retirement. Why? Because retirement taxation is new for a retiree so there’s a learning curve. Here are a few cliff notes to help new retirees navigate these uncharted waters. Don’t Start The New Year Without Updating Your Business Plan – It doesn’t matter if the last time you worked on your business plan was 12 months ago or 12 years ago. If you want to put your business in a great position, pull out your current business plan, take a seat and get to work. Use these nine tips to rework your existing business plan and strategically maneuver through the upcoming year. How To Pay Your Tax Bill In 6 Easy Steps – Since May 2014, Direct Pay, a free and secure payment option, has provided millions of taxpayers with the option of making payments to the Internal Revenue Service at a time, and in a place that is convenient for them. Read on to learn more. If You Can’t Avoid It, Organize It: Organization Is Critical To Financial Planning And Tax Preparation – How organized were you with your personal tax information this past year? Could you find everything you needed to provide to your accountant? Were you surprised at the amount of tax you paid? Tax planning is one of the essentials to personal financial planning and wealth creation. And taxes are one of those things you need to think about all year long, not just during filing season. Use these five tactics to become better prepared to tackle tax season. Tax Planning For Freelancers – Freelancers are self-employed as either independent contractors or sole proprietors. As a result, if you’re a freelancer, you face a double whammy – having to pay income tax as well as self-employment tax. Learn more. Taking on Taxes – Year Round: Be Proactive When It Comes To Tax Planning – Now that my taxes are filed, I can now sit back, relax, and not think about my taxes again until next March or April. Maybe February if I’m feeling ambitious. As a small business owner, has this thought crossed your mind a time or two? If you’re like most people, you may tend to view taxes as a necessary evil that you have to deal with only one time each year. The truth is, taxes should be part of your discussions year-round. Don’t Be Surprised By Hidden Local Taxes – Tax-planning strategies have provided a sense of confidence for both federal and state filings. However, there could be an unanticipated tax due this April if you have forgotten to consider any local tax filings. As a taxpayer, it is important to consider whether or not you live or work in a district that has passed an ordinance to levy any local income tax. School’s Out For Summer, But Tax Credits Are Still In: 8 Tips To Help You Claim The Child Tax Credit – your opportunity to claim the Child and Dependent Care Tax Credit doesn’t end at the last day of school. In fact, you may be able to claim a variety of summertime childcare expenses when tax season rolls around again. Check out this list to familiarize yourself with the Child Tax Credit. Tax Time Is More Than Just Taxes – While most people think that tax-filing season is a time to take their tax documents to their CPA or accountant, it should also be a time to review your other financial and personal matters. There are several other important facets of your life that you should consider reviewing or changing, and good habits you should adopt. Tax time is the perfect time for a personal review. Read on to learn more. We pride ourselves in providing our readers with timely content that is relevant to them and their issues. Chances are there’s a newsletter or blog just for you. Check out all our free newsletters and subscribe to the publications that best fits your needs. Click here to learn more.